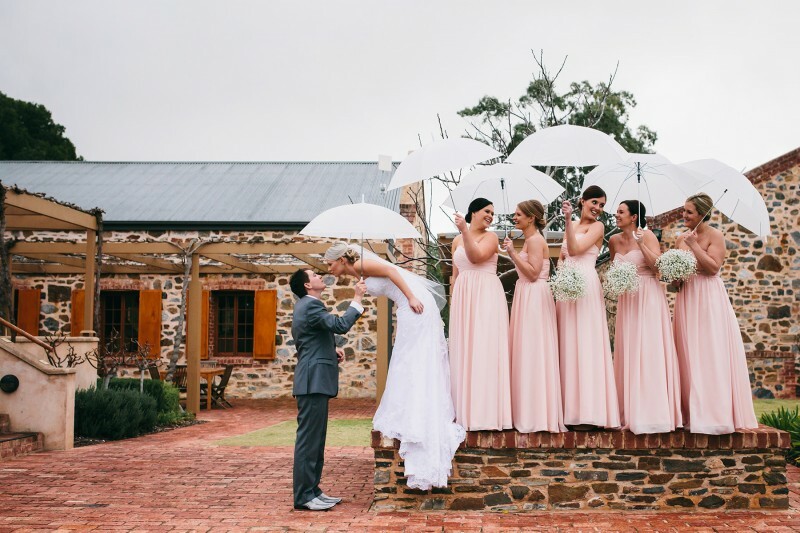 “I was worried that it wouldn’t rain” … said no bride ever. 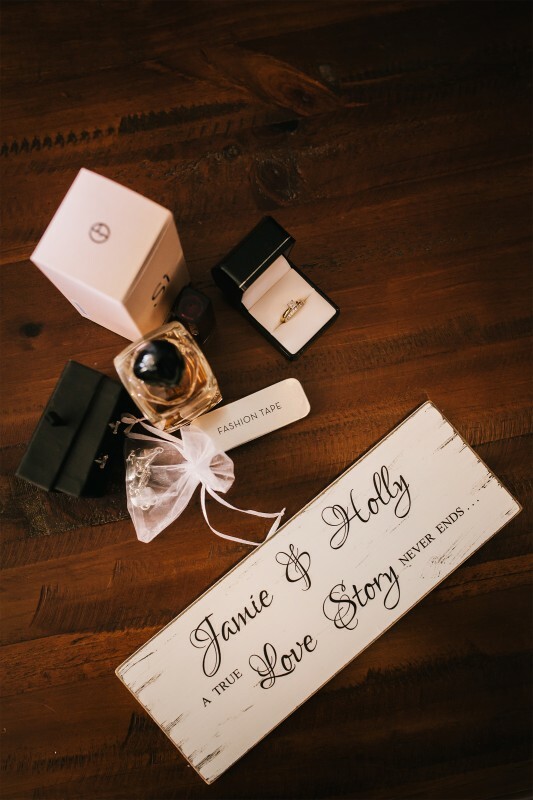 Except if you’re Holly Carter of South Australia. 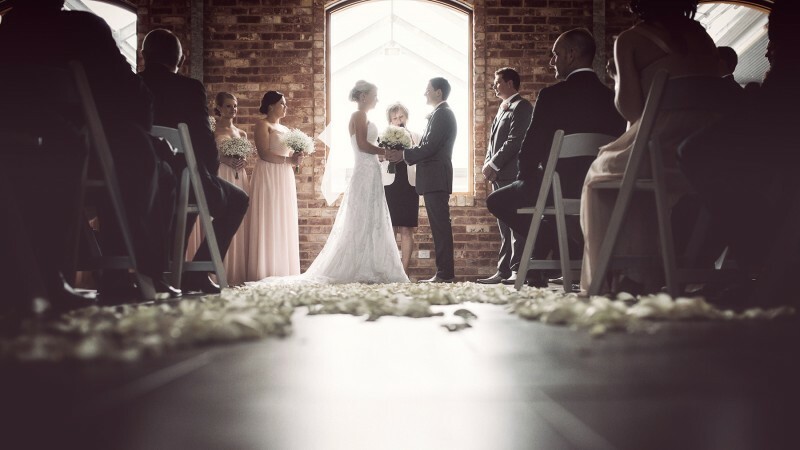 Her belief in the superstition that rain on your wedding day leads to good luck and marriage longevity had her wishing for a wet winter wedding. 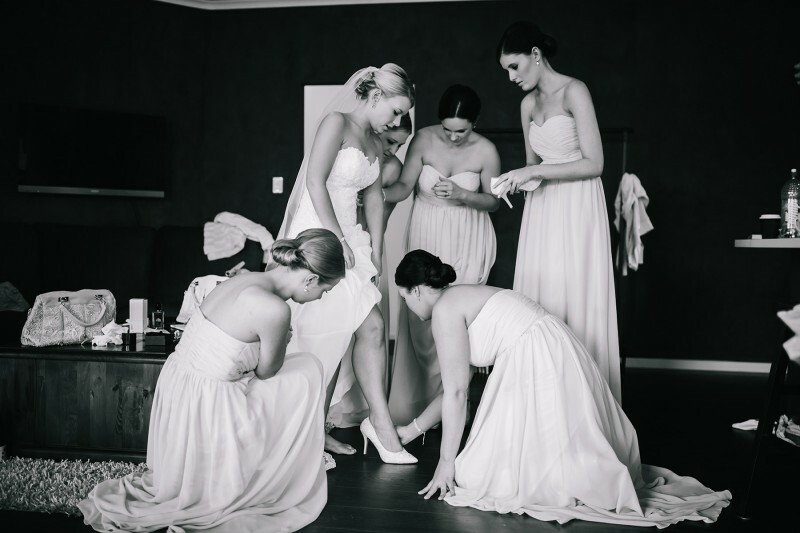 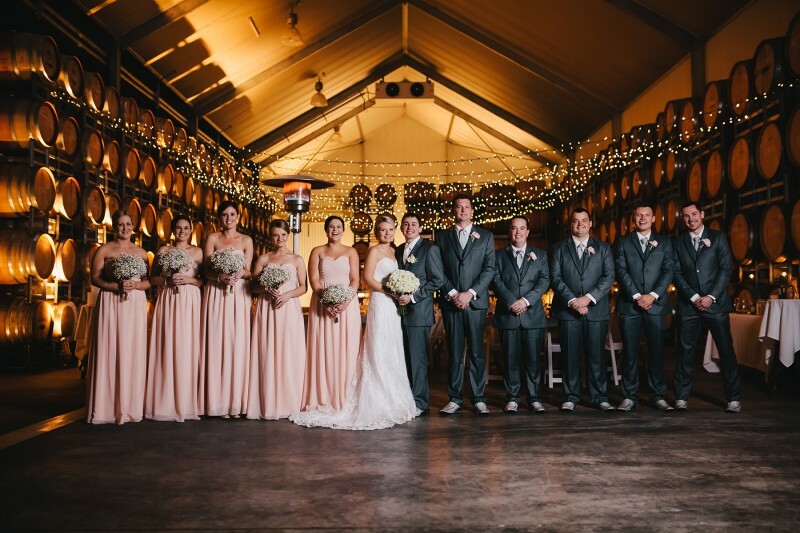 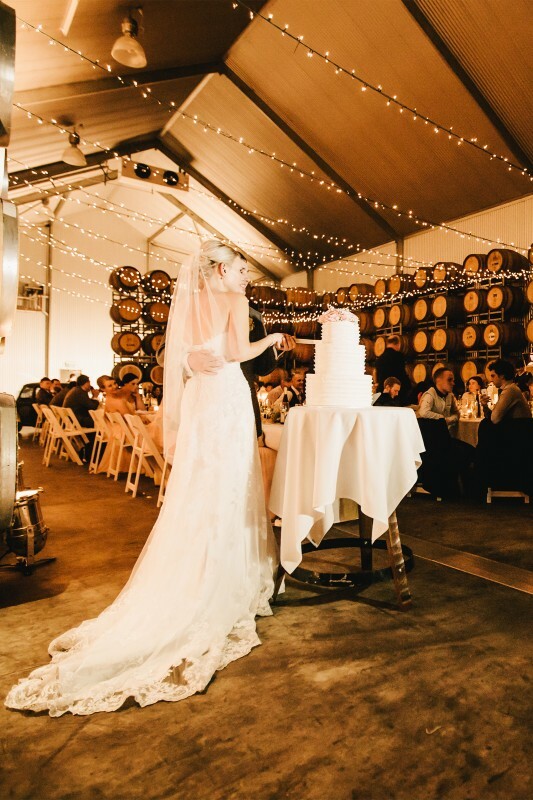 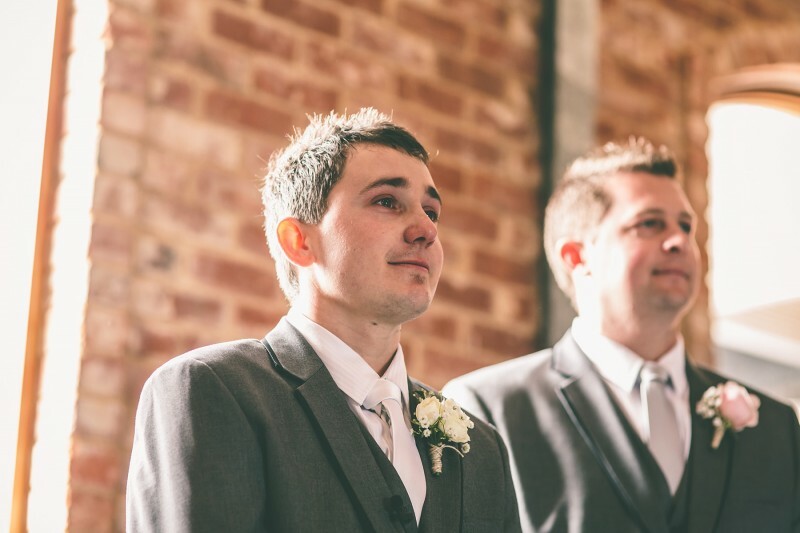 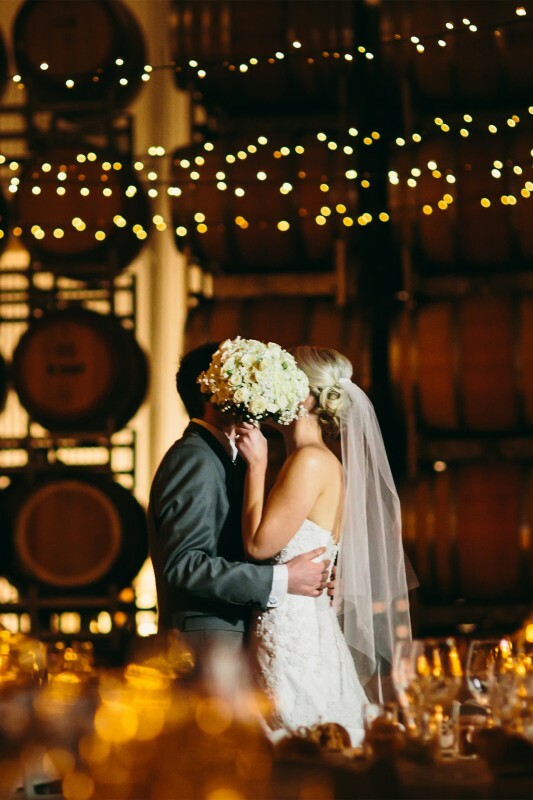 Four years later, on July 5, 2014 and before 100-odd guests including five bridesmaids and five groomsmen, the pair wed in the beautiful Barossa Valley. 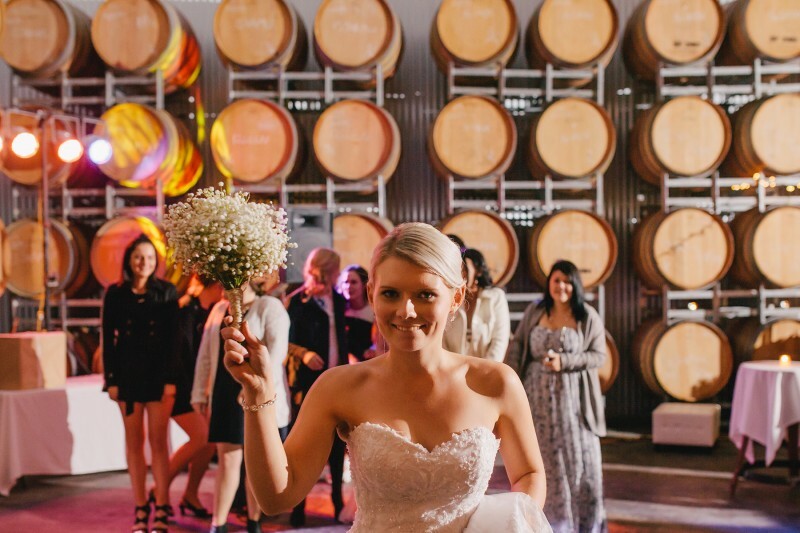 Cold winds forced the outdoor ceremony into the cellar door of Murray Street Vineyard where the warm and cosy nuptials began followed by fun photos in the welcomed rain. 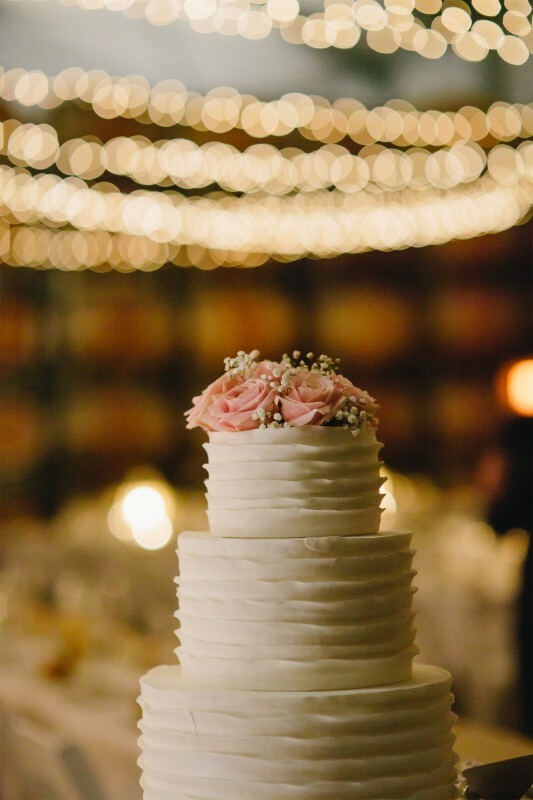 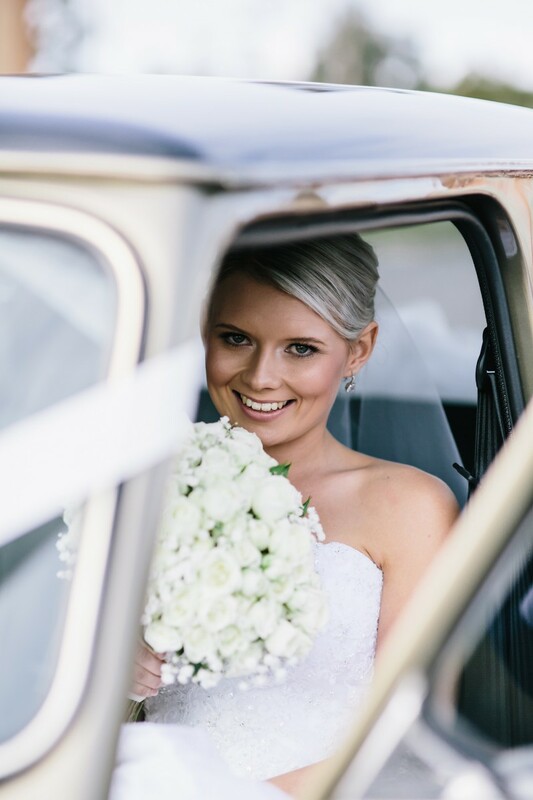 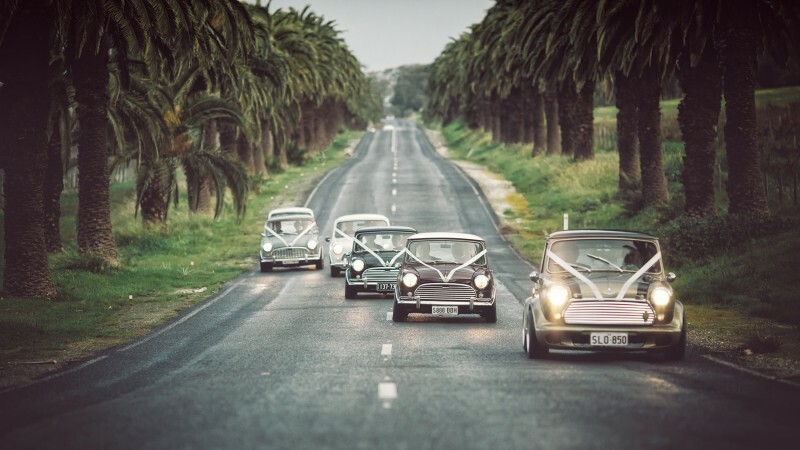 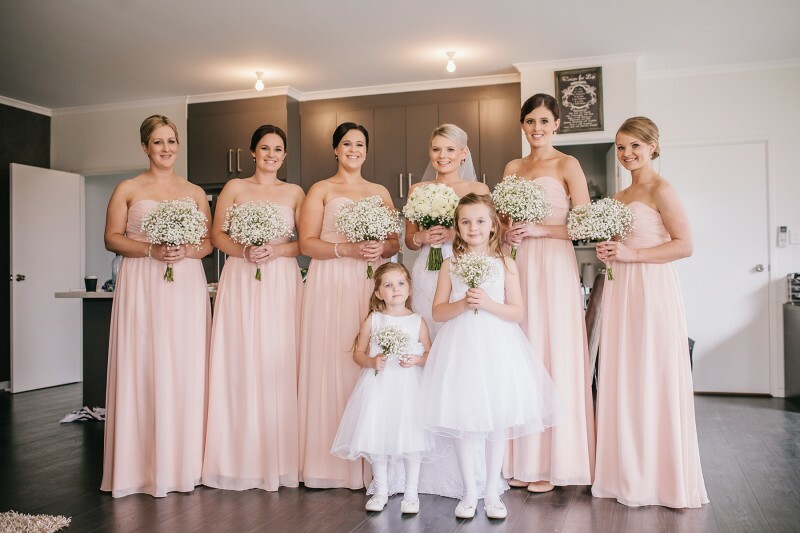 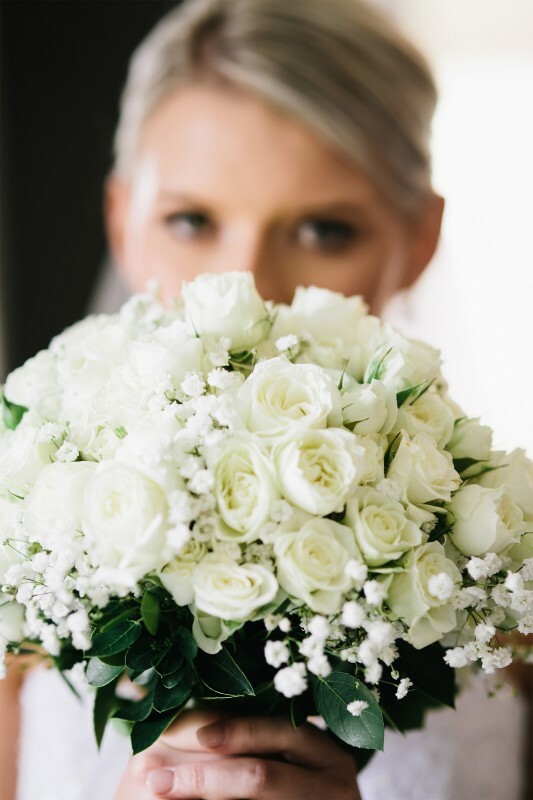 Styling featured elegant soft pinks and greys, rose and baby’s breath bouquets and, in an interesting twist – Minis. 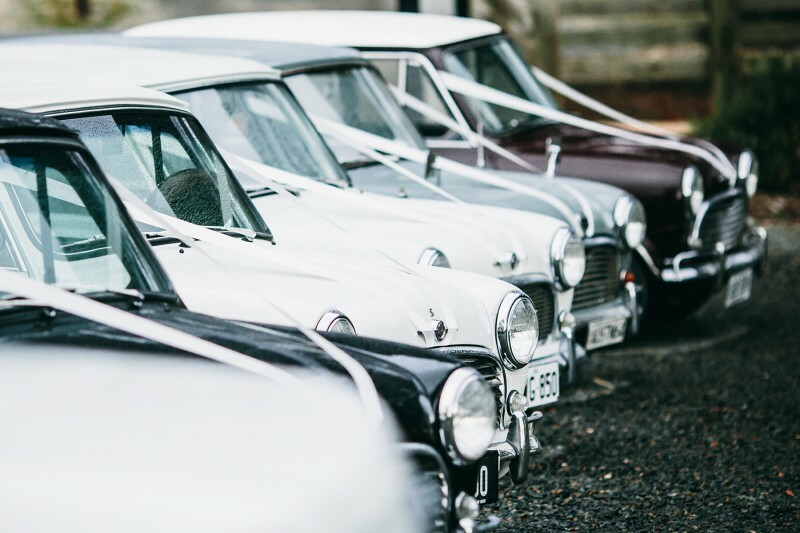 Jamie’s passion for the classic Mini since childhood was proudly represented with not one, but six of the petite vehicles unveiled on the day. 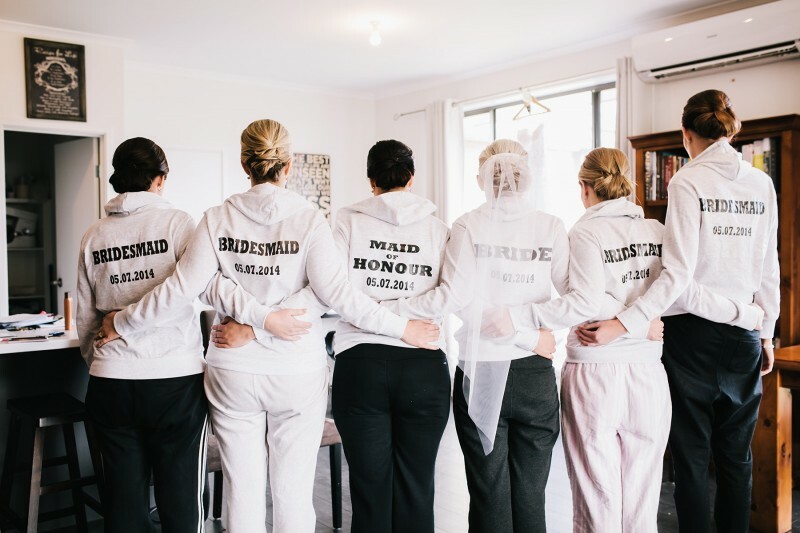 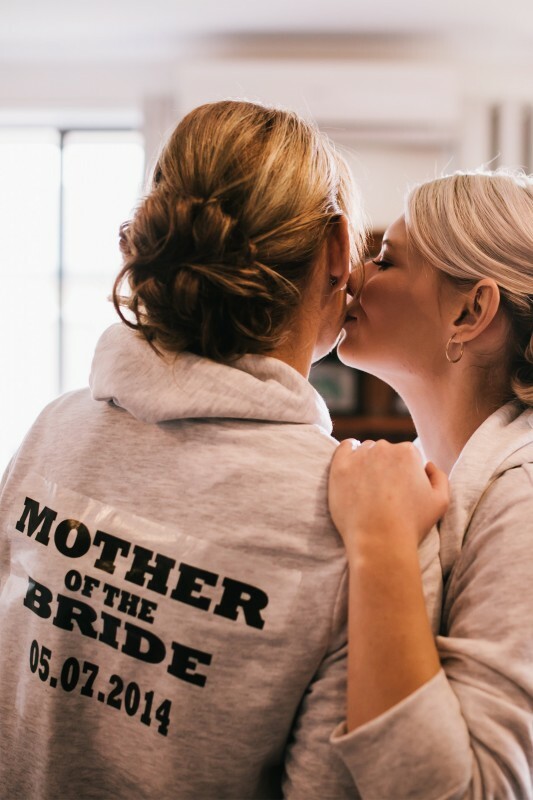 The bridal party’s grey hoodies were ‘stamped’ using printable iron-on transfers. 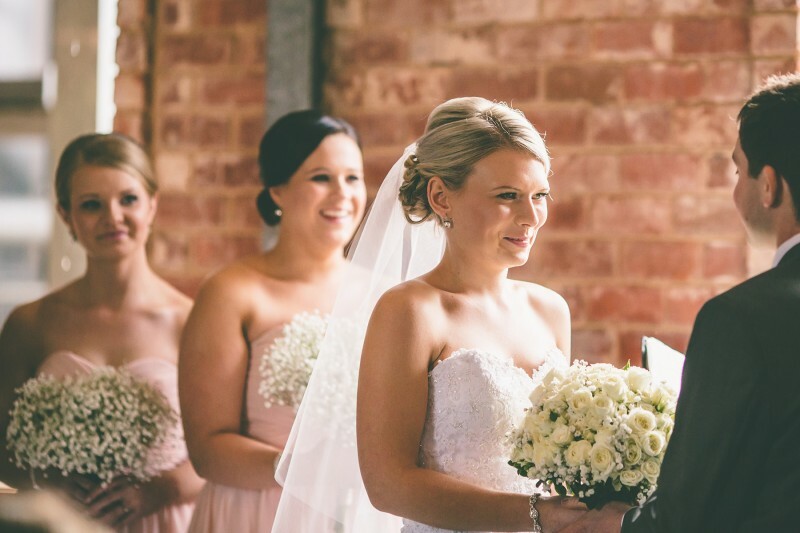 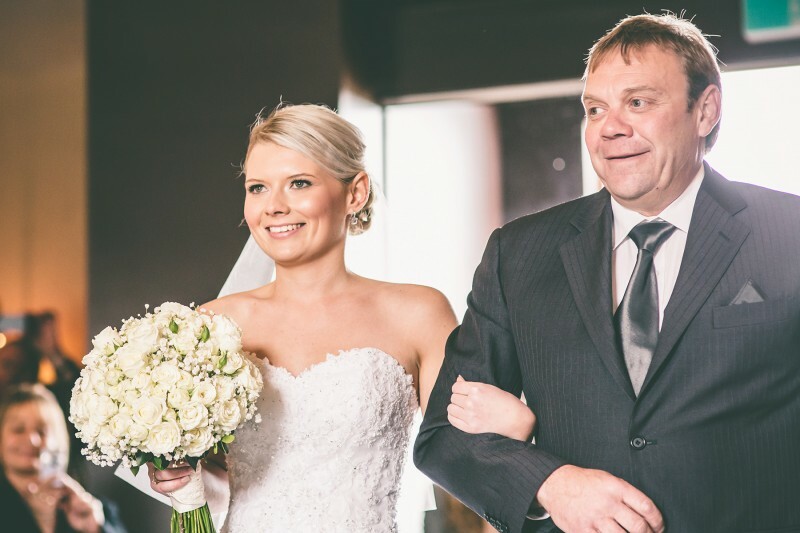 The ceremony was “warm and romantic,” describes the bride. 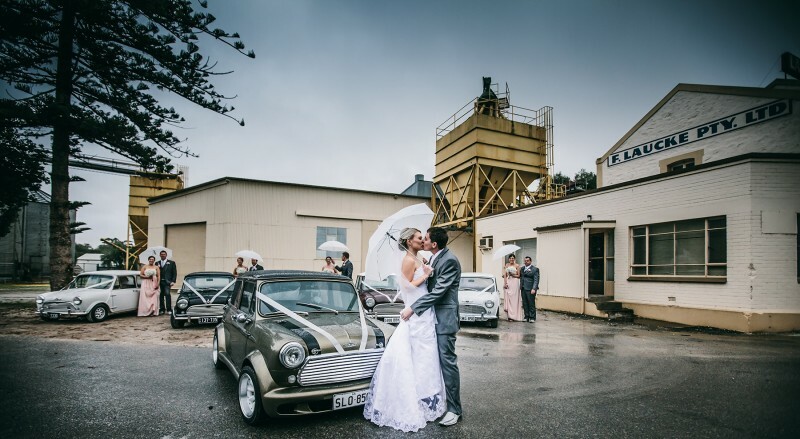 Holly is now the proud new owner of her very own Mini after the pair drove home in one they purchased in Sydney after the wedding. 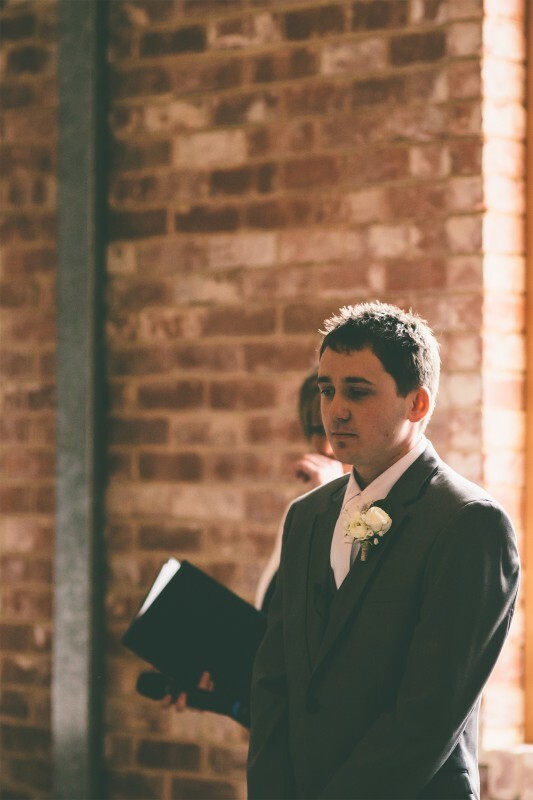 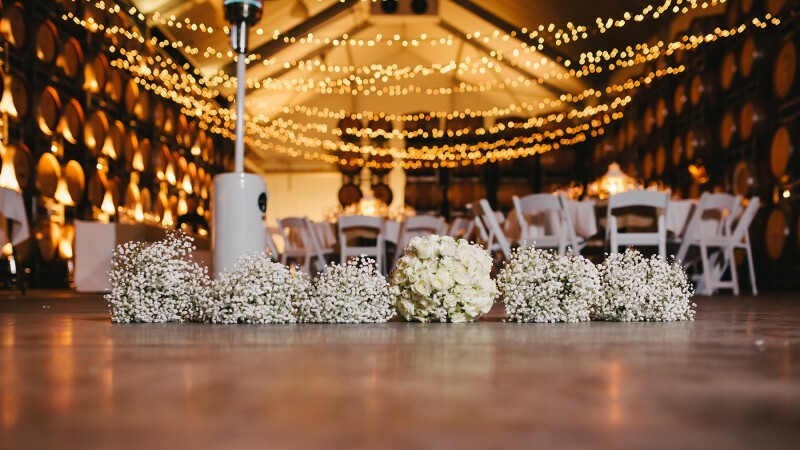 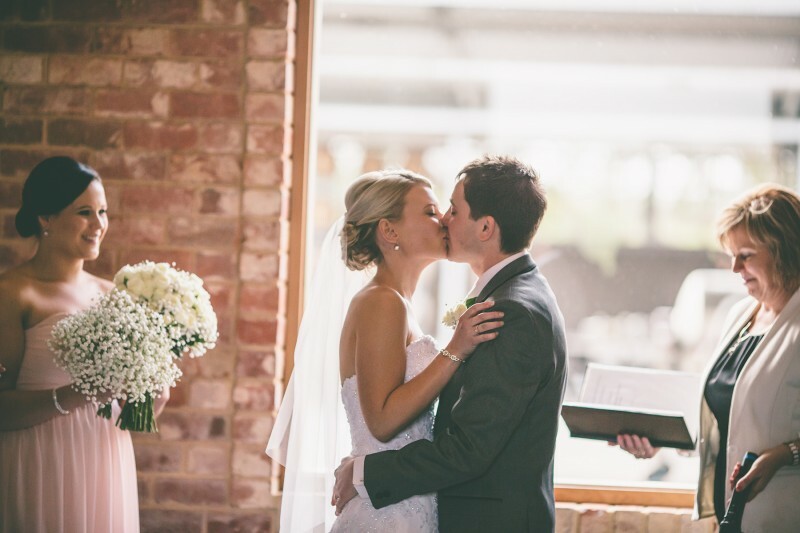 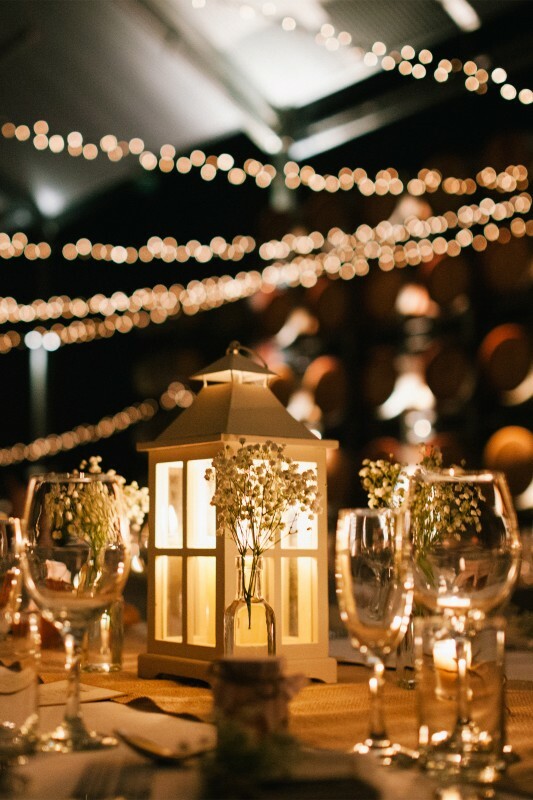 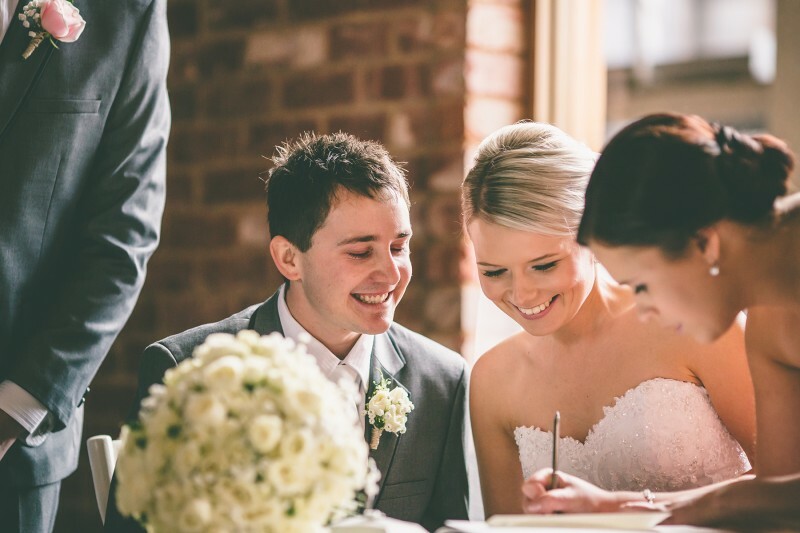 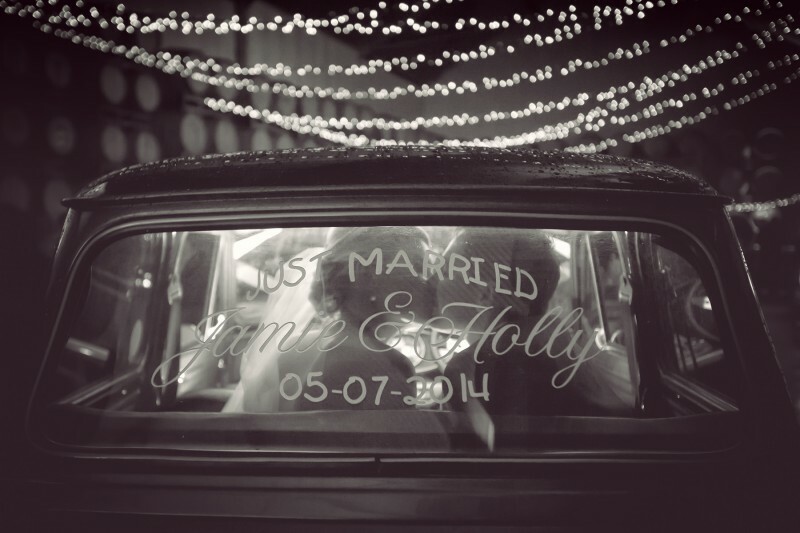 “Our reception was our own little fairyland with loads of fairy lights, candles and lanterns,” says Holly. 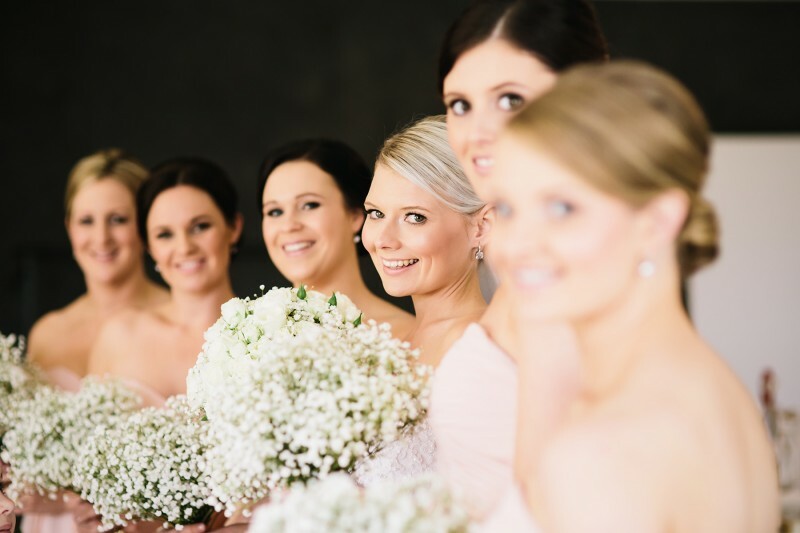 Video by Adelaide Wedding Videos.